I’ve been a fan of Bungie for 20 years now. I still have my old floppies of Pathways into Darkness. After they announced that they wouldn’t be developing any more Halo titles, I could only think, “What’s next?” Some months ago, Destiny was finally revealed, and at E3 we saw the game in action for the first time. The gameplay demo that we saw at Activision’s booth was essentially identical to what was shown onstage at Sony’s E3 press conference. Even though the exact moments of the fights were different, the same notes were hit. The same weapon dropped after the boss battle, and the demo presenter said the exact same lines each time. If you watched the E3 press conference, you know what to expect here. At first glance, Destiny looks like a mix of Borderlands 2 and its shoot and loot style of gameplay, with Guild Wars 2 and its large scale public events. If there are any mechanical differences, it would be that weapons have their own skill trees. The gameplay demo we got, though, was short and light on gameplay details. What we got instead was a look at a very beautiful game. It’s gorgeous and smooth. I got enjoyment out of merely watching the very smooth combat. The way the gun was lined up with the target’s head – If I were holding the controller, I would feel especially good about lining up that shot. It seems like there will be all kinds of different guns and variations on guns, and for the first time, Bungie seems like they’re treating weapons as individual classes. While the outside walls of the building that the players entered in the demo seemed nondescript, I actually liked the sense of scale of the environment around it. A tangle of cars creates a path into a chunk of wall that has been torn out, leaving a small, dark entrance. Inside, webs of corridors make bridges in seemingly giant rooms. Lucky for the demo players that they knew exactly where to go. I’d probably get lost in seconds. I hope I get a map or people to help me out. 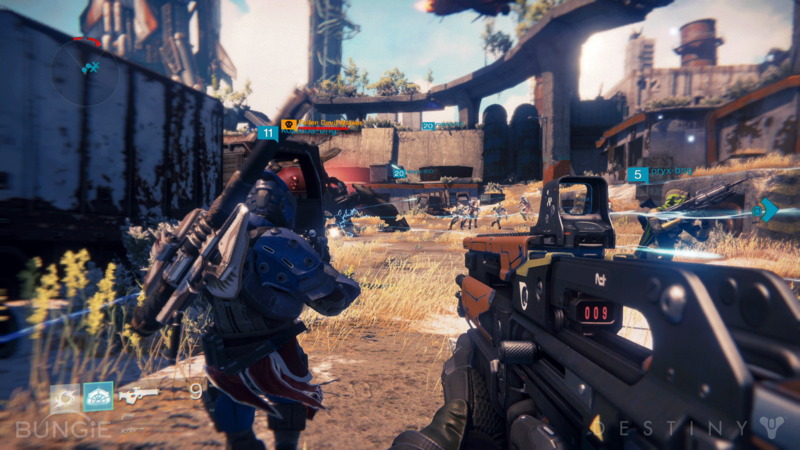 Speaking of co-op, Destiny features drop-in and drop-out co-op like other games such as Borderlands. I wish I could tell you more about this game, but we just don’t have the details yet. We don’t know how big the world is, we don’t know how much of it can be explored, and we don’t really know what kind of story we’re in for besides the explanation of Destiny’s scenario. 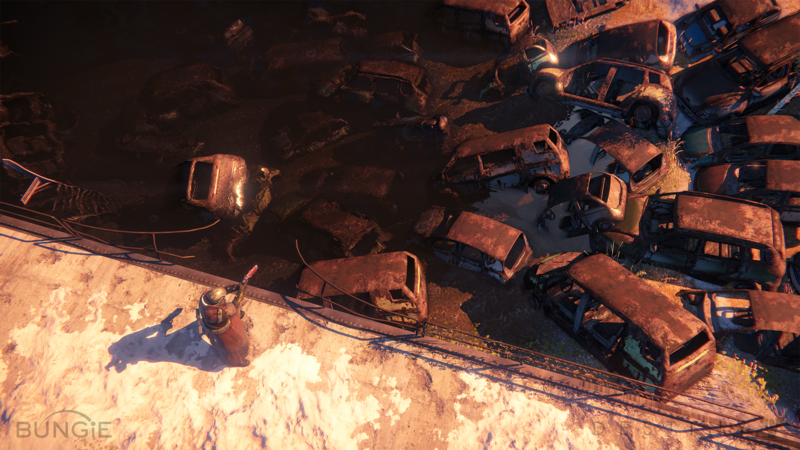 I did like the hints in the trailer of the people we might encounter in this ravaged land, but I can tell you that prior to viewing this demo I was fairly negative about Destiny. I thought it was just a collection of ideas that already have been done. Even if that’s the case, after seeing this demo up close, I am bullish. 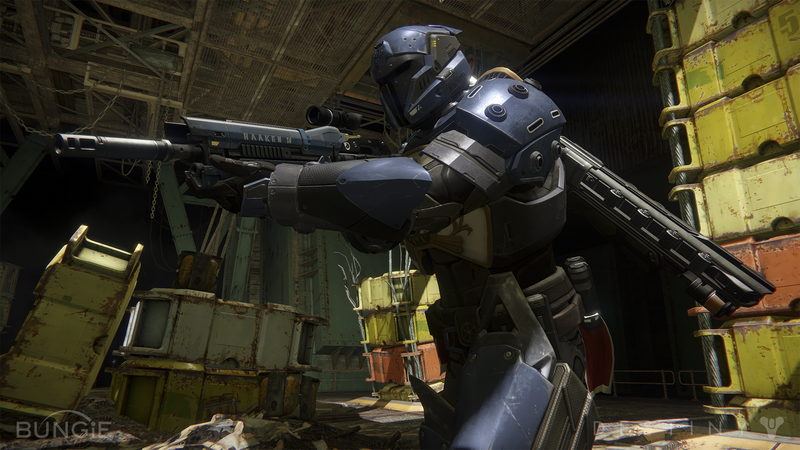 I’ve forgotten how good Bungie is at taking existing concepts and polishing them to a fine sheen. Halo practically defined first person shooters on consoles, and it seems like Destiny is going to be the game that helps define what “next-gen” means. I seriously can’t wait for this title. I’m not really a Bungie fan, but what they’re doing and the world they’ve created is interesting. I’m just wondering how much variety there will be among the weapons compared to Borderlands.